Are you struggling with Anxiety or Depression? Having problems in your relationship or with your teen? Give Nadja a call now at (310) 601-6071 for your FREE, no-stress consultation. Call (310) 601-6071 or Click Here For Your FREE Consultation! LA Family Therapy offers Anxiety, Depression, Teen, and Couples / Marriage Counseling Services in Beverly Hills. Therapy can help make your life enjoyable and worth living again. There’s a lot more to therapy than just talking about problems, which can occasionally feel like talking in circles. Clients frequently feel some relief after their very first session at LA Family Therapy. This is because we understand one-size DOESN’T fit all. We’ll work together to come up with specific questions and strategies unique to YOU, which will get you results FAST. Call me at (310) 601-6071 or contact me to get your FREE consultation! 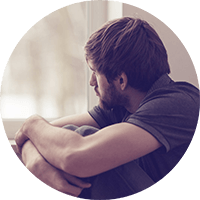 We work with individuals who are struggling with Anxiety, Depression, or relationship problems. LA Family Therapy also specializes in counseling for women. In addition, we have had great success working with adults who suffer from substance abuse and eating disorders. The teenage years can be a nightmare to go through – both for the teen and parent! If your teen is struggling, click here to see how we work with Teens. Is your relationship suffering? One of the biggest myths about romantic relationships is once the spark is gone, it’s lost forever. Not true! Click here to see how we work with Couples. Are you busy or live somewhere with limited access to therapy? New technology allows for safe and secure therapy right from the comfort of your home. Click here to see how we can work together over the internet. Hi, my name is Nadja. I specialize in helping adults and teens who are struggling with anxiety, depression, and relationship issues. I know how daunting it can feel to choose a therapist. It’s important that they have a great plan to help you get the life you really want. But you also have to feel comfortable and safe talking to them. The way I work is fundamentally different than most therapists. I do not believe it is enough to passively sit and listen to a client while taking notes. We are all unique individuals, and what we’re dealing with has details that are specific to only us. That’s why we’ll take the time together to come up with a great plan that will work for you and you alone. That’s a good start, though as I mentioned above it’s also very important that you feel safe and secure with your therapist. That’s why I offer a FREE, no-stress phone consultation, so that you can be sure we’re a great fit to work together to help you move on past whatever is troubling you. Call me at (310) 601-6071, or send me an email by clicking the button below. If you’d like to learn a little bit more about me first, click here. I look forward to chatting with you! “You helped me tremendously in life and I will never forget you! You truly are doing what you were meant to do in life. “Her energy and determination to confront problems enabled me to tackle issues that I would have probably found a way of avoiding if left to my own devices. Congratulations, you’re taking the first step towards a better life! 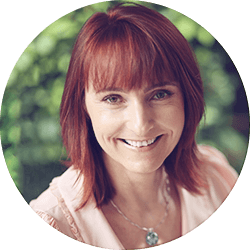 If you’ve been Googling for a “therapist near me”, are looking to overcome anxiety, depression, or relationship problems, then don’t delay and put off your healing – get your FREE consultation! Your communication with me is 100% confidential and I’ll get in touch with you as soon as I can. Thank you!